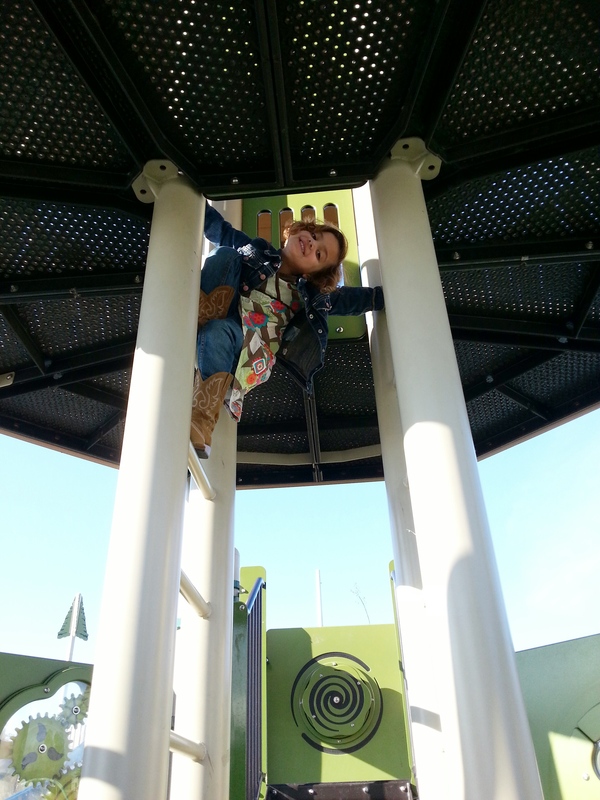 -The park, or more accurately the weather that is making park trips so pleasant. She plays, I sit in the sun all toasty and warm with a good book…for hours! We both get “me” time and come home happy! 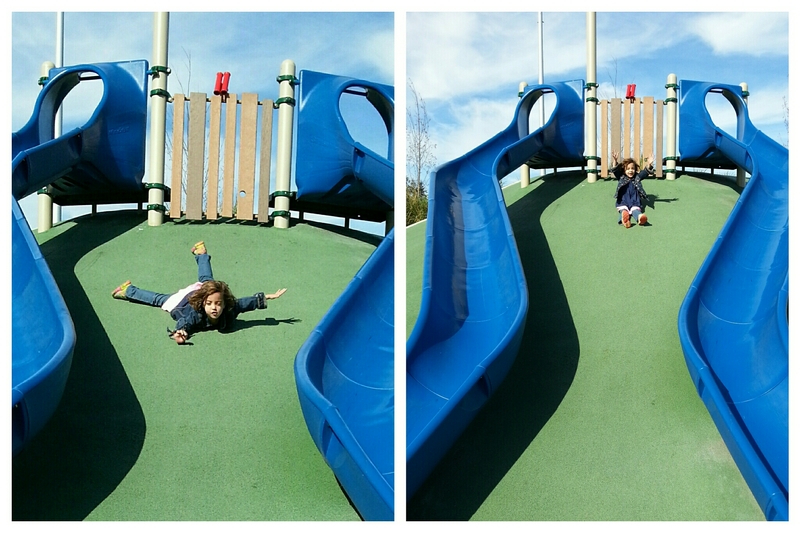 Why slide on the slides that are right there? 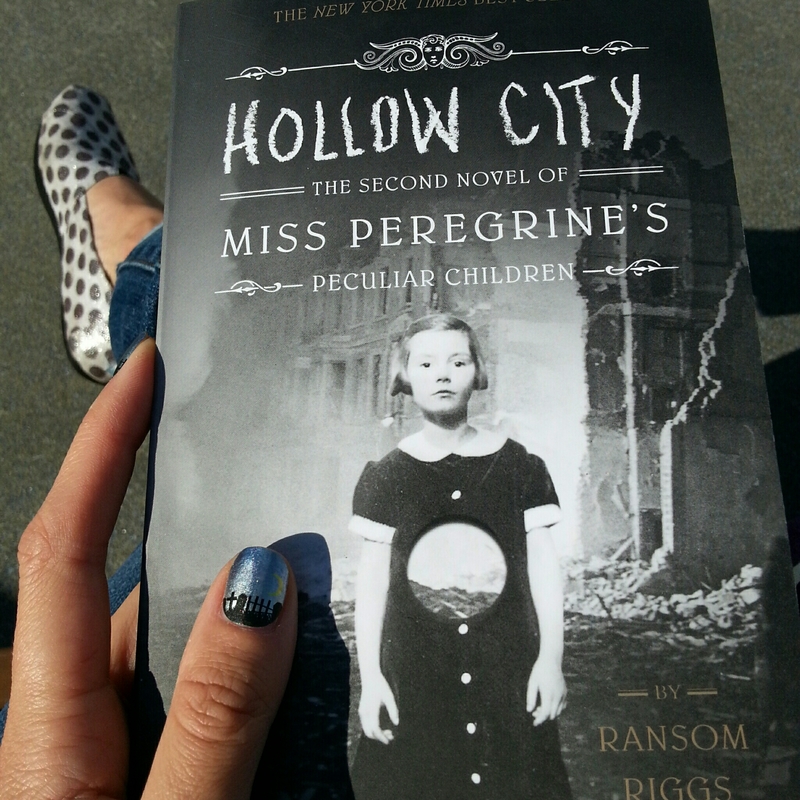 Thanks to park time I’m on the third book, and I only started the first one two weeks ago. -We got to drink wine! It was only for one night, and then back on the Whole30 plan to finish reintroduction of other foods. 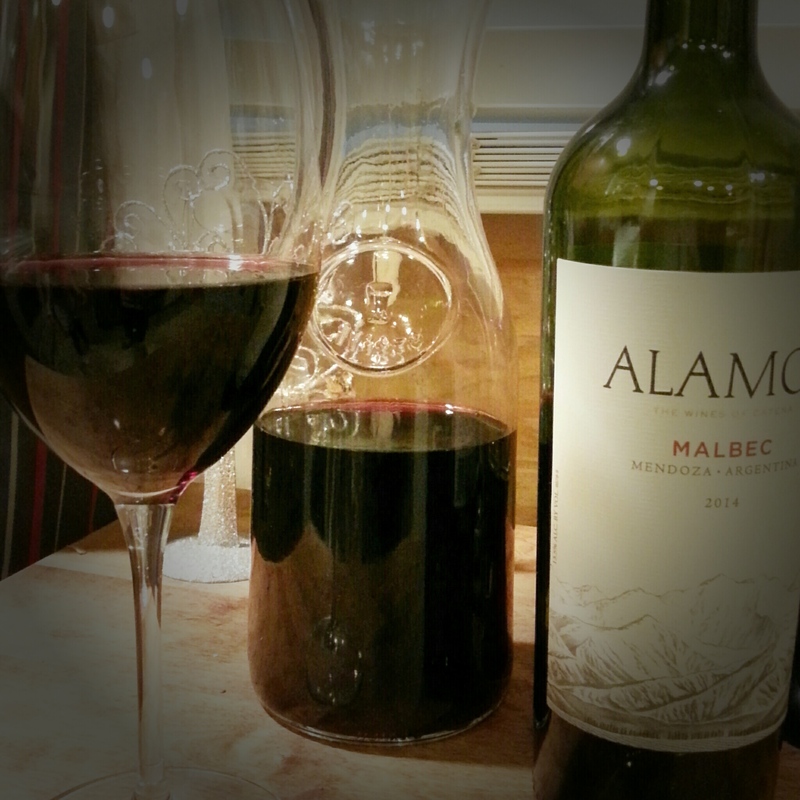 But, it was oh so good after 30+ days wine free. So close to being DONE! -Awesome trail run. 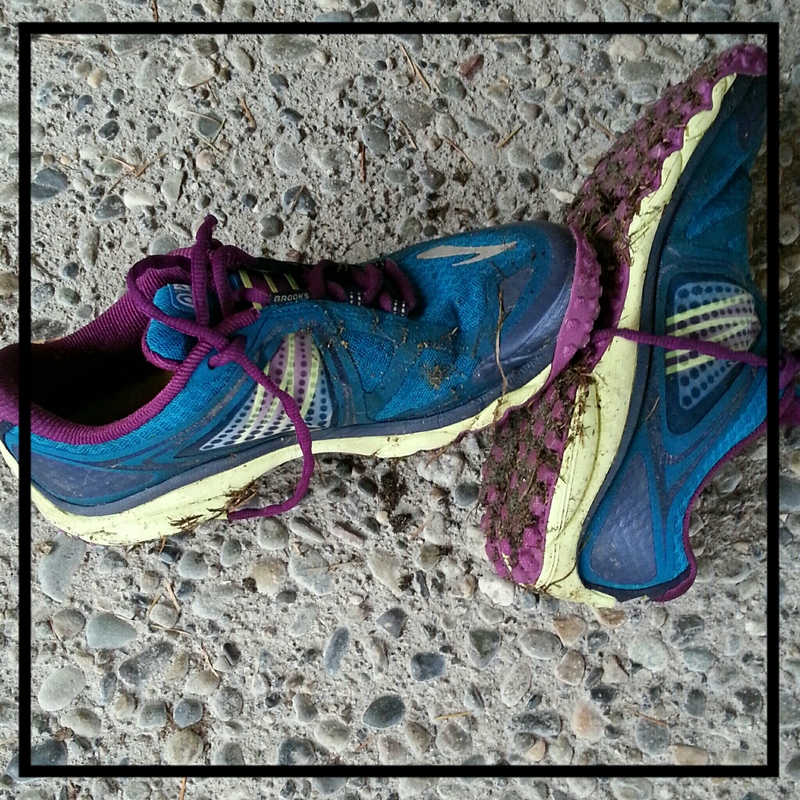 I love getting up early, hitting the trails, and coming home with dirty shoes. It’s a great way to start the weekend, and I have awesome company as well! 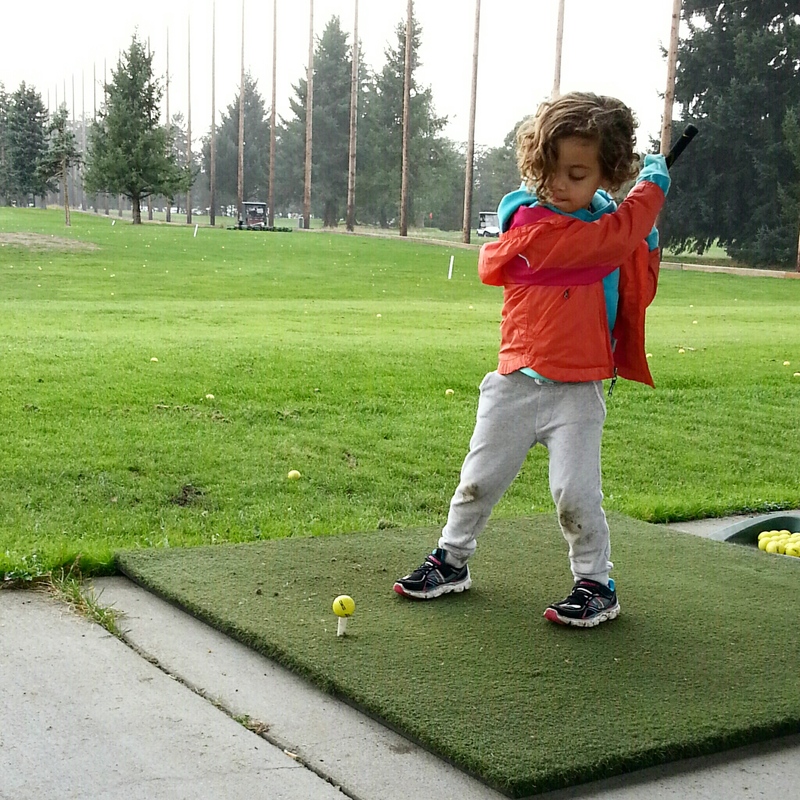 -I’ve mentioned it before, but her golf lessons. So cute, so much progress made, and she loves it. As soon as she has some clubs of her own I can take her to the putting green/driving range as another option to the “what are we doing today” question I get every morning. Keeping her eye on the ball! 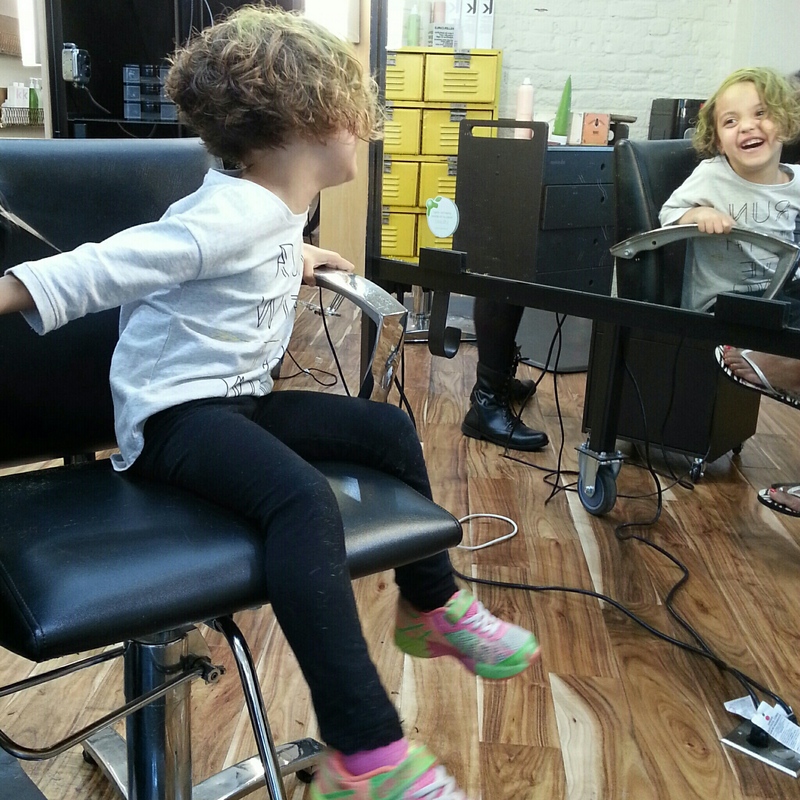 -For another awesome hair cut from Eleanor at Embelish Salon. 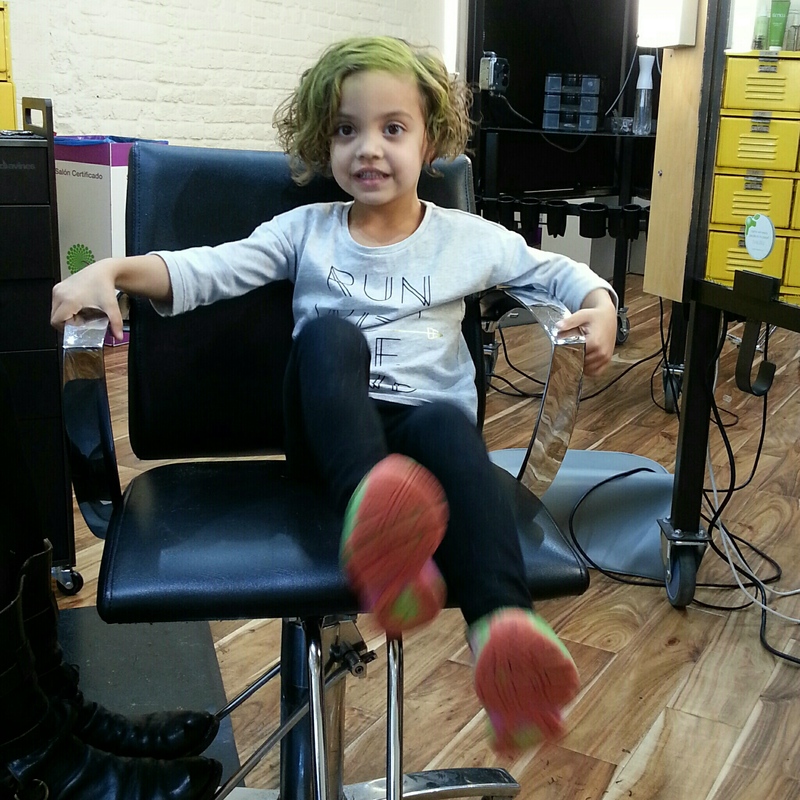 Sky LOVES getting her hair cut, and loves adding neon green color to her hair. It looks more yellow on her hair, but she loves it. She added the color herself and really went to town! -A weekend trip with my munchkin. Mark is helping his sister move, so Sky and I are hitting the road, just the two of us! -Cuddles, and snuggles, and a little girl with so much love in her heart. I’m a lucky mommy!